What birthday event should be without it? 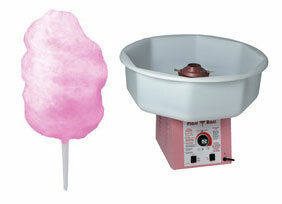 Cotton candy is always a winner with the children as well as adults. Comes with Blue or Pink floss (sugar). $40.00 all day or $35.00 with a bounce house or train rental. Call (321) 914-2432 to make a reservation or fill out the form on the right. What a refreshing treat! 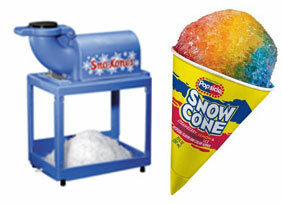 Make snowcones instantly at your party or event and everyone will love it. Comes with grape, cherry, and orange syrups and snowcone cups. $40.00 all day or $35.00 with a bounce house or train rental.